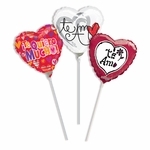 Unique and eye catching 3-Dimensional balloons are perfect for any party or get-together! 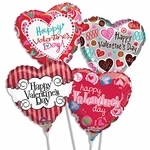 Our 22" Valentine Arrows & Hearts Bubble Balloon is the first of its kind! 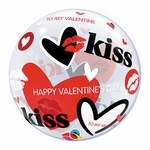 Bubbles are made of stretchy, see-through plastic which allows them to stretch BIG and ROUND like a beach ball. 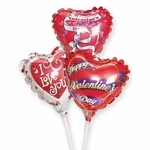 Bubble Balloons are an inexpensive way to make a lasting impression! 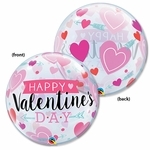 They make a fun and memorable gift or exciting event decor. Bubble Balloons are self sealing for easy inflation. We urge all customers to attach a properly sized balloon weight and ribbon to each balloon purchased.